Say hello to your upgraded studio, one, or two bedroom apartment at Willowick Apartments in College Station, Texas. 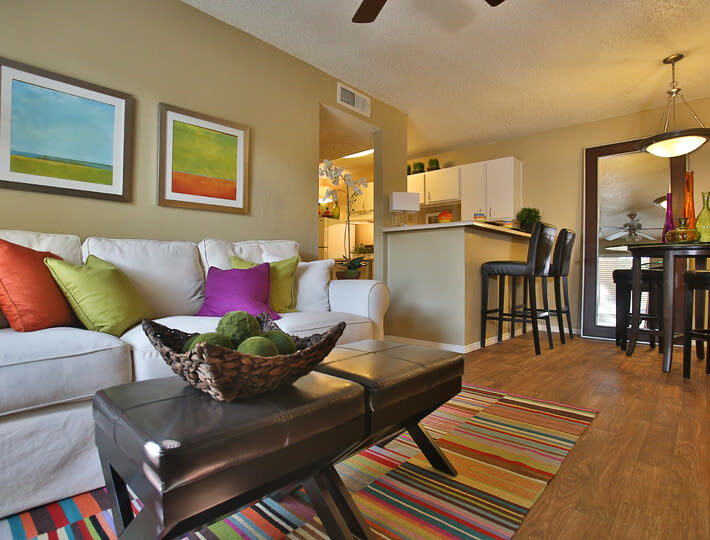 Cozy into any of our spacious floor plans, ranging from 457 square feet to 863 square feet. Select layouts extend into a private patio or balcony, perfect for slow mornings sipping a latte or watching the beautiful Texas sunset in the evenings. Your home conveniently comes with high-speed internet access, so you can get work done from the kitchen table or scroll through your favorite apps lying in bed. And since cable is included in every apartment home, it’s easy to have friends over to watch the big game. Here at Willowick Apartments, you’ll find that comfort meets convenience. We have thoughtfully included spacious walk-in closets large enough to fit all of your belongings, and they make organization a snap. The washers and dryers, included in some floor plans, are there to make laundry day simple and streamlined. Handsome wood-style flooring is added to pull everything together with a warm and welcoming aesthetic. Look through our floor plans to find what suits your unique lifestyle best. Once you have found your favorite, call our friendly leasing team to schedule an in-person tour.